The Kia Cadenza is a machine that’s worth your consideration. If you’re not wealthy, but still have a desire to drive a luxury ride burning deep in your guts like a suicide-wing platter, then the Kia Cadenza is a machine that’s worth your consideration. 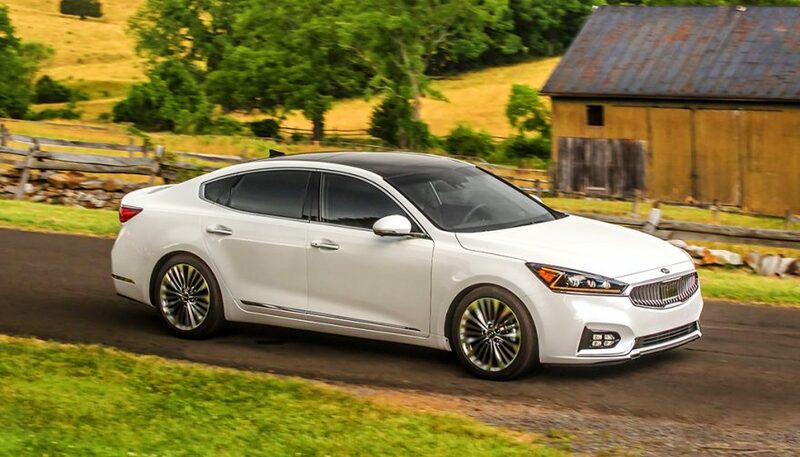 As the brand’s top-dog front-drive sedan, Cadenza sits above the popular Optima in the product portfolio, and competes with machines like the all-new Toyota Avalon, Chrysler 300, Volkswagen Passat, and Chevrolet Impala. From a glance, Cadenza’s intentions are simple: you can literally see the Lexus-inspired styling touches throughout its look; specifically, via the taillamps, exhausts, and the wheels and chrome trim on the lower part of the doors. If a big Lexus, Mercedes, or Cadillac is in your budget, you’re probably not a Kia Cadenza shopper. But, if a luxury-branded sedan isn’t financially feasible and you’d like to get as close as you can, it makes a lot of sense. The Kia Cadenza is to Cadillac or Mercedes what my Sigma camera lenses are to the often-pricier Nikon lenses: a possibility to access a very good taste of something a lot more expensive. And mostly, Cadenza pulls it off well—even if I’m not personally a fan of the styling cues that Cadenza borrows from other cars. 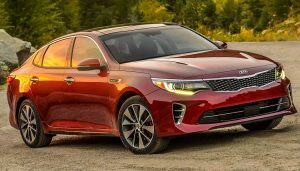 Kia’s proven that they can create a compelling original design, though Cadenza looks like an interpretation of styling elements we’ve seen before in other high-end rides. I strolled on past it in a parking garage on one occasion, passing it off as someone else’s Lexus until I looked more closely. Still, Cadenza appears a big deal as it comes down the road. It arrives, more than it just ‘shows up,’ and that’s truer at night, thanks to the gorgeous LED lighting that really sets things off. It’s discreet luxury: glimmering and sophisticated, but not so much so that anyone thinks you’re paying for your Harvey’s drive-thru with loose diamonds. The driving position and environment border on coupe-like. Occupants sit deeply inside the Cadenza and feel enrobed by the cabin. Headroom is at a premium for taller occupants, though the low roofline turns in a graceful overall shape. Mostly, the cabin hits hard because it gives the impression that you spent more money than you did. The leather seats have a swanky quilted pattern, there’s a mile of stitching, and numerous hues, textures, and lustres layered one over the next for depth and detail. It’s a great looking interior, with a good quality feel, and extensive (but not complete) use of high-grade materials throughout. As a whole, it’s an interior that’s current, unique, proper, and also sophisticated without looking overly busy. There’s a heap of room, storage, and handy charging provisions, including a wireless charging pad, within close reach of the driver. Rear seating provisions are generously spacious for two adults, or three in a pinch, but watch your head getting in or you’ll take some sheet metal to the dome courtesy of the low roof. The feature content is impressively comprehensive: a radar cruise system, birds-eye parking monitor display, and a potent Harman Kardon stereo were amongst my favorites. A panoramic sunroof, climate-controlled seats, and virtually every outward-looking hazard detection technology available were on board, too. Cleverly, the blind spot monitor system even indicates potentially hidden vehicles flanking the Cadenza, via its head-up display. A 3.3 litre, 290 horsepower V6 drives the front wheels through an 8-speed automatic. Most impressive when used gently, the engine is nearly electric-car smooth around town and at lower speeds where it offers solid pull, and virtually noiseless operation. Opened up, the unit sounds pleasing and eager, but full-throttle performance is punchy, if not not thrilling. With the 8-speed transmission, expect low-rev cruising and good mileage if you’ll be touring around for hours on end. The ride is soft-footed and gentle, but never feels floaty or syrupy. The priority is comfortable cruising, but without feeling like a four-wheeled Jello cake. There’s a touch of sporty tautness, calibrated against a mostly comfort-oriented ride. Combine this with the comfortable cabin, low noise levels and space in most directions, and you’ve got a relaxing, laid-back place to be. Note that noise levels do creep up if you’re cruising at higher speeds, but keep near the highway limit and there’s no need to raise your voice for a conversation. Steering is light and lazy at low speeds and during parking, which makes for easy maneuverability. Conversely, at speed, the steering thickens and heavies up, feeling more clamped to the road. Brakes bite with gusto from an initial dab of the pedal, all without being so sensitive or hyperactive that they’re difficult to work smoothly. You mostly feel the same sort of creaminess at the controls you’d expect in far pricier ride. Bearing cost and context in mind, few major complaints were notable. 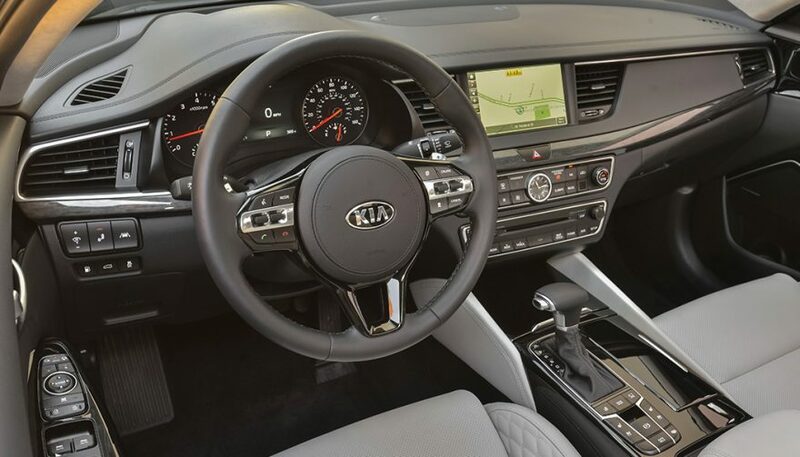 The Kia Cadenza is a little tight on headroom, some drivers might wish for a few more horsepower, and the Head Up Display darkens a good deal if you’re wearing polarized driving glasses. Here’s a great way to take in a taste of the world-class motoring high-life, without the world-class price-tag. 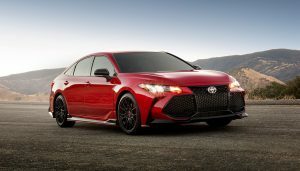 Cross-shop it against the Toyota Avalon, Chevrolet Impala, and Buick LaCrosse as well, each of which are also excellent. 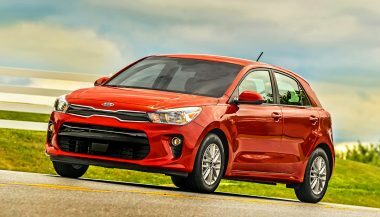 The new 2018 Kia Rio is comfortable, connected, spacious, quiet and competent. It also has a surprisingly low sticker price. AutoPacific has announce the 2016 Vehicle Satisfaction Awards. 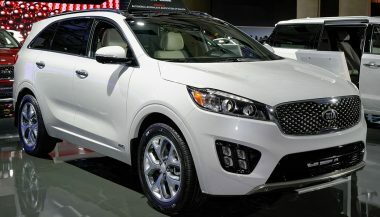 Korean automaker, Kia, takes top spot in the popular brand category! 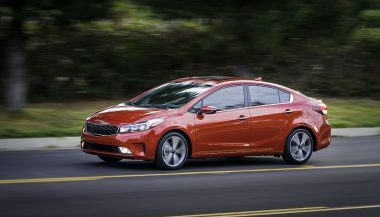 It didn't get a full remodel, but the 2017 Kia Forte got a significant facelift and a new sporty trim sure to make the compact car even more popular. Don't let those big chrome wheels lead you astray. You want something that rides well. We're giving you the most comfortable car suspension choices.